When: Sat., April 20, 8:30 a.m.-3:30 p.m.
Join COASST on the beach at Godwit Days! Join the Coastal Observation and Seabird Survey Team at Godwit Days in Arcata. 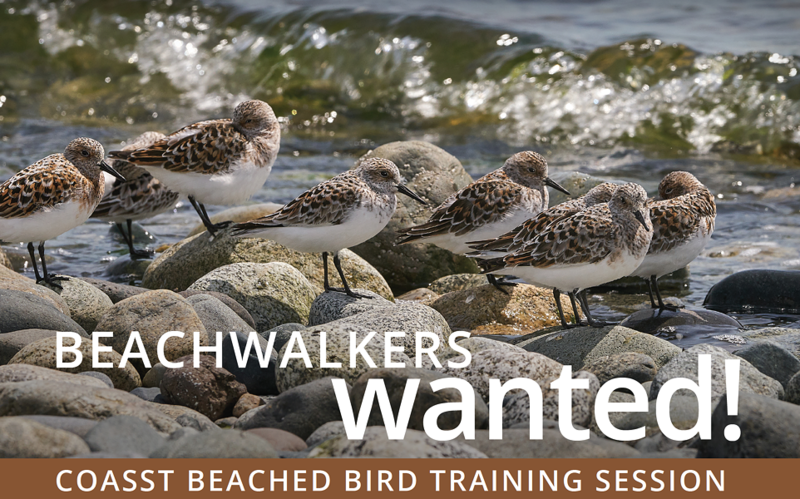 COASST participants help make a difference for the environment by collecting data on beach-cast carcasses of marine birds on a monthly basis to establish the baseline pattern of beached bird mortality on North Pacific beaches. Reserve your training spot by calling COASST at 206-221-6893 or by emailing coasst@uw.edu. For more information on Godwit Days visit godwitdays.org.